This year the Reformed Baptist Blog would like to thank our readers by offering an opportunity to two of the blog's email subscribers to receive free books for Christmas this year. One of our readers will receive a free copy of Dr. Jeff Johnson's book The Fatal Flaw of the Theology Behind Infant Baptism, which I believe is the single best book on the subject from a Reformed Baptist perspective. It is also a good book for understanding Covenant Theology from a Reformed Baptist perspective. Another of our readers will receive a free copy of two of Dr. Richard Belcher's Journey books. They will include the first two books in the series, A Journey in Grace and A Journey in Purity (see here for more information). If you already have the first two books, then we will allow the substitution of any two of the other books in the series. I suspect that once you have read a couple of the Journey books, you will want to read more of them and will recommend them to others as well. As a pastor, I have found that folks have really been helped by them and have found them enjoyable reading as well. On December 12 I will draw from the addresses included in the email subscriber list from FeedBurner. So, if you want to have a chance to receive these books, then make sure you sign up as an email subscriber to the blog using the Subscribe in a reader link on the right panel of this page. And make sure you click the "Get Reformed Baptist Blog delivered by email" option. Current email subscribers are already in the running. Ps 12:6-7, Isa 40:8, Matt 5:18 and Luke 16:17 directly or indirectly refer to God’s promise to protect and sustain the written revelation of God. Yet, Bart Ehrman has sold thousands of books (e.g., Forged, Misquoting Jesus and God’s Problem), and has gained the approval of National Geographic, the History Channel and the Discovery Channel by denying the faithful transmission of New Testament text. Ehrman not only claims that the Greek New Testament text has been corrupted, but that all the extant manuscripts are polluted to the point that it is impossible to reconstruct a trustworthy critical Greek text of the New Testament. Ehrman is quick to point out that there are around 400,000 variants within the extant New Testament Greek manuscripts, and that there are no two manuscripts which perfectly agree with each other. Given that the autographs (the original documents) have been lost, and given the fact that there are no error free Greek manuscripts, it may appear that Ehrman is right. As we analyze the historical and textual evidence, are we to conclude that God has failed in fulfilling His promise to perverse His Word? Some seek to save God’s reputation by closing their eyes to the textual evidence and denying that there are any textual problems. Yet, we do not have to close our eyes to the textual evidence to believe in the supernatural preservation of God's Word. The evidence is on our side. Ehrman stands in opposition to the consensus of the community of textual scholars and the overwhelming textual evidence. Yes, there are approximately 400,000 variant readings, and there are no two identical manuscripts, but no ancient piece of literature can boast of a more faithful transmission than the Scriptures. First, no other ancient book has more extant manuscripts than the New Testament—close to 6,000. Second, no other ancient work has extant manuscripts that are so close to the original autographs—P52 dates between 100-115 AD, and we have a host of papyri manuscripts that date back to the 3rd and 4th centuries. Third, of the 400,000 variants, 75 percent are spelling errors, which do not do any damage to the faithfulness of the Greek text. Fourth, another 24 percent of the variants are concerned with word order, but this too does not create much of a problem seeing that the subject of each sentence in the Greek is determined by word endings rather than by word placement. Fifth, that leaves only 1 percent (around 400) of variants that are of any importance, yet of those 400 variants, the majority are concerned with minor issues such as gospel harmonization. Sixth, only around 15 percent of the 1 percent of variants (about 50) is considered of any major significance, yet there is no doctrinal compromise in any of the variant readings. 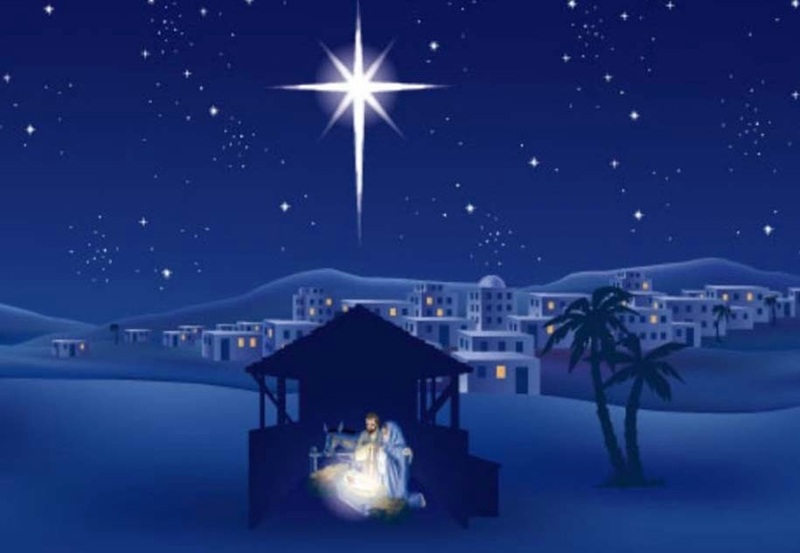 The virgin birth, the Trinity, the gospel and every other doctrine stands firm in the textual evidence. Considering that there are 27 books and approximately 180,000 words in the New Testament, it is amazing that there are only 50 variants of any major concern. The evidence is amazing! The harmony between the manuscripts and textual families is amazing! Thus, it is my belief that only supernatural providence can account for such accurate and thorough preservation of the Scriptures. Note: The above material is taken from an appendix to the forthcoming Behind the Bible: A Primer on Textual Criticism, to be published by Solid Ground Christian Books. If you haven't already tried e-Sword, I suggest you check it out. Today I just want to take a few minutes to thank my fellow veterans for their service. I pray that God will bless you and keep you, and for those of you who have not yet come to trust in Christ as your Lord and Savior, I pray that God will open your hearts to the Gospel soon. I pray that you might come to believe that Jesus died on the cross for sinners such as you and me, so that we might have forgiveness of sins and peace with God, and that He rose from the dead that we might have everlasting life. I also offer you my testimony as to how the Lord Jesus saved me and pray that He will open your eyes to the truth just as He did mine. Please feel free to contact me if you wish to know more. During Caron's more than 20 years of service, she was involved in nearly every conflict that the U.S. had been involved in since her commissioning. Caron was in Grenada, Gulf of Sidra, Beirut, Black Sea, CentAm SpecOps, Gulf War and Haiti. 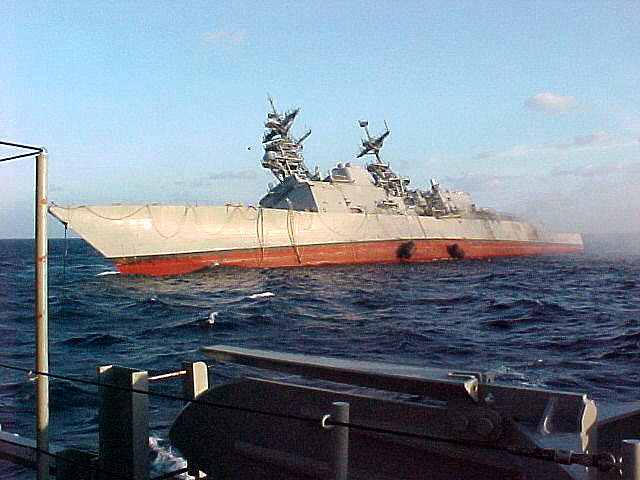 Caron was the first warship to fire Tomahawk missiles in two separate combat engagements when she fired twelve missiles on 17 January 1993, destroying a nuclear weapons development facility outside Baghdad. 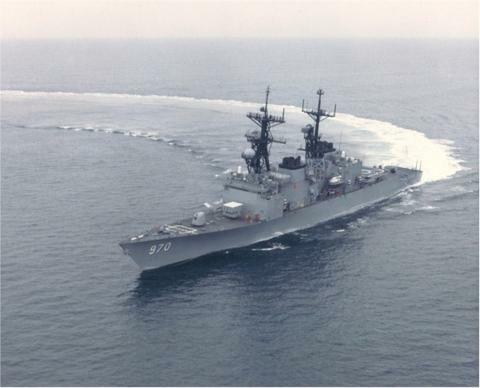 1979: Black Sea Ops with USS McCandless FF-1084. Soviets stage a mock missile attack against Caron. 1983: Operation Urgent Fury. Caron fires 5" guns in combat. 1983-1984: Multi-National Peacekeeping Force Beirut, Lebanon. Caron fires guns in multiple engagements. 1986: Operation Attain Document I, II, III, Operation El Dorado Canyon and Operation Prairie Fire against Libya. 1988: Black Sea Ops. Caron is rammed by Soviet Mikra II Class frigate. 1991: Operation Desert Storm. Fired Tomahawk missiles in engagement with Iraq. 1993: Fired tomahawk missiles in engagement with Iraq. 1993: Enforced UN sanctions against Haiti. 1996: Operation Southern Watch in Persian Gulf. 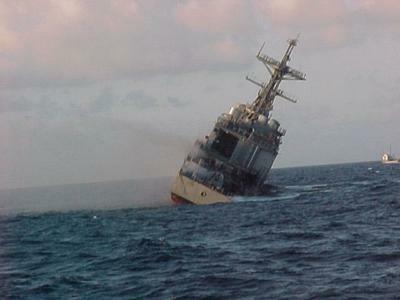 2002: Sunk near Puerto Rico. 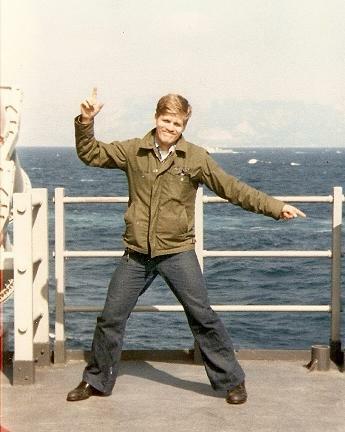 I served aboard the Caron from 1985-1987, during which time the Lord Jesus saved me and I met my wife, Kim, in Haifa, Israel. So, as you can imagine, the Caron holds special memories for me. 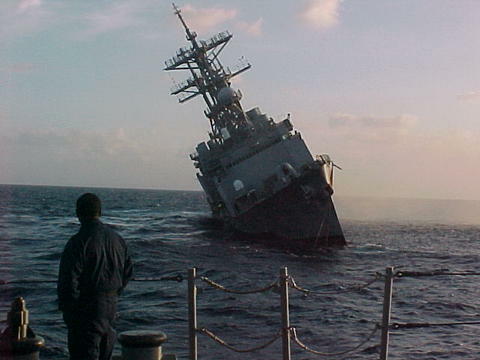 In fact, when I heard the U.S. Navy had sunk her after demolitions testing in 2002, I am not ashamed to say that I actually cried. The Caron is a specially and uniquely appointed spyship; it is a modern day Pueblo. Its very configuration and mission deny it rights that might be accorded to other ships. Since its commissioning in October 1977, it has been loaded with signals intelligence sensors. It is the Navy's premier ship equipped with the "Classic Outboard" system, which performs over-the-horizon targeting and surveillance. It was the first ship to be equipped with digital computers directly linked to its sonar and other sensors. Since 1980 the Caron has led 24 intelligence collection missions for the Atlantic Fleet. In 1980-81, the vessel was dispatched above the Arctic Circle and into the Baltic Sea to follow the Kiev aircraft carrier battle group and practice new over-the-horizon targeting and surveillance techniques against the Soviet Union. Besides its latest escapade [referring to the 1988 ramming of the Caron by a Soviet frigate in the Black Sea], the Caron has conducted three other Black Sea surveillance operations [during which I was aboard], including the incident in March 1986 in which it and the U.S.S. Yorktown came within six miles of the Soviet coast. But the lion's share of the Caron's work has been in the Third World -- off the coast of Central America, in the eastern Mediterranean, and around Libya -- where the ship has conducted 16 separate intelligence missions since 1980. 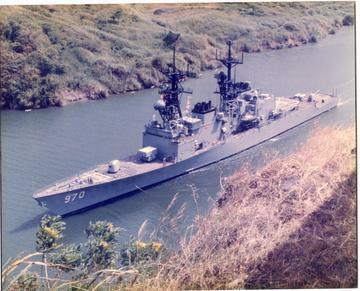 The Caron was the first ship to arrive on station in the Caribbean for operation "Urgent Fury," the 1983 invasion of Grenada. 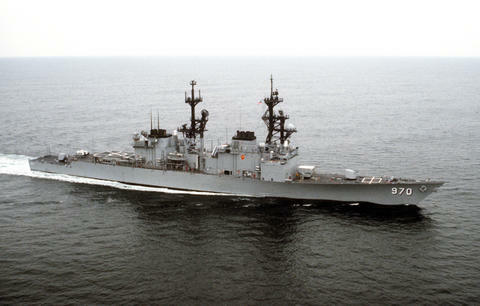 The Caron has spent more time off the coast of Nicaragua than any other U.S. Navy ship since Ronald Reagan took office. In 1981, the Caron was the first ship to track Libyan Fitter fighters reconnoitering U.S. Navy operations. In 1986 the Caron was the first to cross the "line of death" into the Gulf of Sidra before the bombing of Libya. January 1: Caron begins four months of duty in various "Operations in the vicinity of Libya," including Gulf of Sidra operations January 7-February 1 and February 7-17. 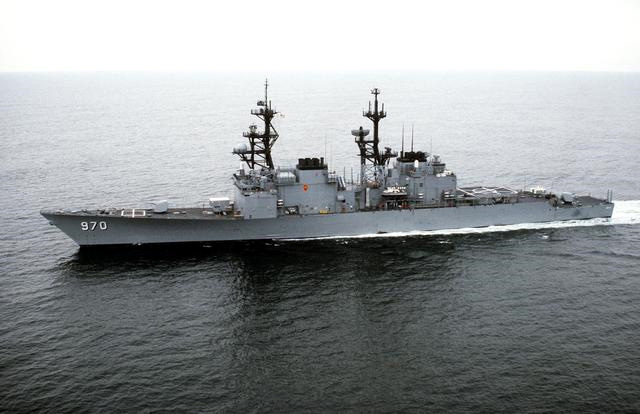 March 10-17: Caron takes time out of Libya surveillance to conduct Black Sea operations with the U.S.S. Yorktown (CG-48), entering on March 10. On March 16 the ships come within six miles of the Crimean Peninsula near Sevastopol. There are three Black Sea deployments in 1986. March 18: The Soviet Union delivers a note to the U.S. embassy in Moscow protesting the incursion of two U.S. Navy vessels into Soviet territorial waters. A White House spokesman says the vessels were testing the "right of innocent passage," and insists it was not meant to be "provocative or defiant" deployment. March 22-29: Caron serves as flagship for Destroyer Squadron 20 which leads a three-ship surface-action group to be the first vessel to cross the "line of death" in the Gulf of Sidra. April 16: Caron ends its operations in the vicinity of Libya. Although the information that is publicly available is somewhat sketchy, it is clear the type of ship the Caron was and why the many men who served aboard her over the years are so proud to have done so. 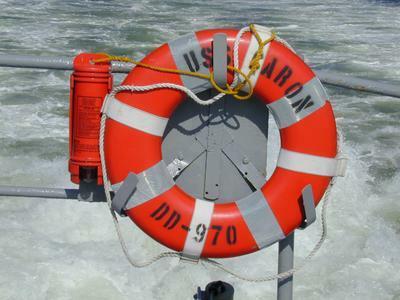 Especially during the Cold War, the men who served aboard the Caron truly were on the leading edge of America's military providing an invaluable service to their country. The ship's motto was "Vision, Victory, Valor," and her crew always sought to live up to these ideals. Here are some photos to help you get a better picture of the Caron. 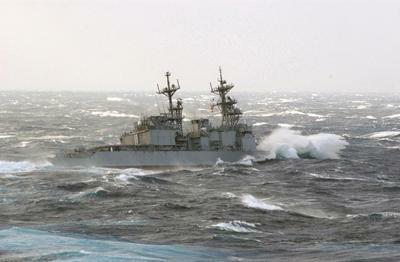 The photo above shows the Caron "haze gray and underway" in calm seas. The photo above shows the Caron turning. The photo above shows the Caron in the Panama Canal, a trip I sadly missed. 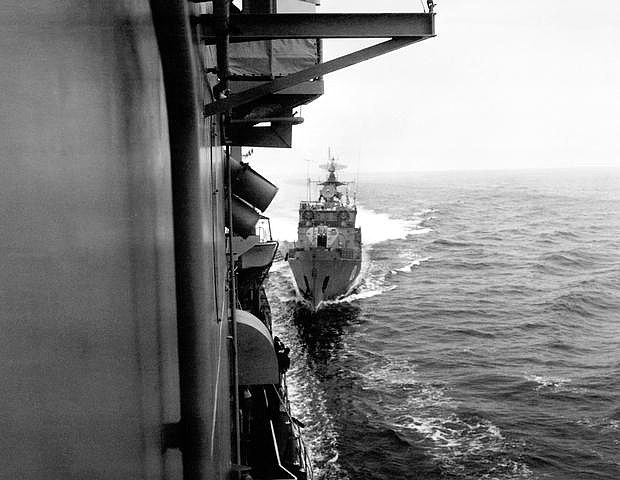 The photo above shows a Soviet frigate coming in close to the Caron during Black Sea operations. 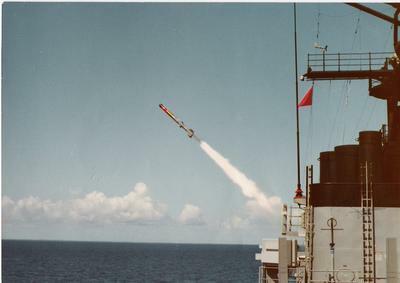 The photo above shows the Caron firing an anti-submarine rocket (ASROC) from the launcher mounted on the forecastle (that box-like launcher on the front end of the ship shown in several photos above). My job, as a part of the Anti-Submarine Warfare section of the Combat Systems Division, was to operate and maintain the ASROC launcher. 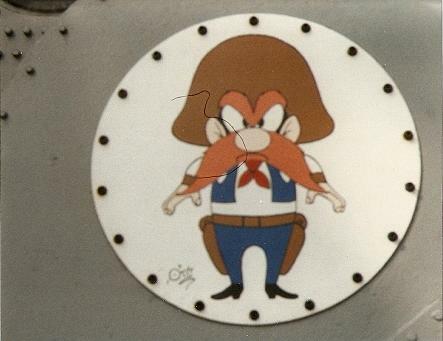 The photo above shows the Yosemite Sam one of my shipmates painted on the side of our ASROC launcher. The photo above shows the Caron in some rough seas. The photo above shows a lifering on the aft end of the ship while underway. The photo above shows the Caron being used for explosives testing off the coast of Puerto Rico shortly before she was sunk on December 4, 2002. The two photos above show the Caron in her final moments. What sad pictures! The photo above shows one of my shipmates, Gary Harvey, who was one of the key men the Lord brought into my life to share the Gospel with me and to lead me to faith in Christ. What a happy picture! First, for sermons by Dr. Richard Belcher, I offer two links. For his Covenant Baptist Church sermons, see here. And for his SermonAudion.com sermons, see here. Second, for sermons by Dr. Jeff Johnson, see the sermons page for Grace Bible Church here. Third, for sermons by Kerry Miller, see the sermons page for Christ Bible Church here. Fourth, for sermons by me – Keith Throop – see the SermonAudio.com page for Immanuel Baptist Church here. I hope and pray that you will be edified as you listen to preaching from men committed to the principle of Sola Scriptura and to the Doctrines of Grace. Please feel free to contact any one of us with questions or comments. Today I would like to offer the first of two posts dealing with passages in which the Bible speaks directly to the issue of depression in the life of a believer. There are a number of places in the Psalms in particular that deal directly with depression in one form or another, but I will focus my attention on just two of them. In this post I will discuss Psalm 42, and in the next post I will highlight a portion of Psalm 119. Let's turn our attention now to Psalm 42, in which the Sons of Korah vividly describe a believer's battle with deep depression. Here the Psalmist describes what would seem to be a continual discouragement or depression, for he speaks of crying day and night. But, as if that wasn't bad enough, while he struggles with depression there are people continually speaking discouraging words to him. They have seen how blue he is, and it has apparently led them to question where God is in his life. The situation seems to be one in which they are essentially saying, “If your God is so great, then why are you so sad?” After all, the Psalmist does thirst for God and seek Him, but he still finds no comfort. And as others see this struggle, they keep on tempting him to question God's love and care for him, for what else could they mean in such a situation when they say, “Where is your God?” Yet, despite these trying circumstances, he doesn't stop thirsting for God. I would only point out that, while it is true that the Psalmist questions himself as to why he is so downcast, the emphasis is not placed on the reasons or circumstances that have led to his depression so much as it is placed upon not allowing any circumstance or cause for discouragement to overwhelm him when he does, in fact, know God. 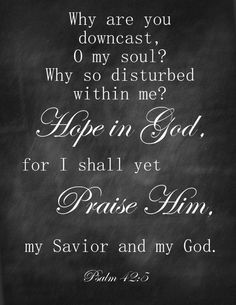 In other words, the Psalmist seeks to lift himself out of the pit of depression by reminding himself that there really is reason to hope in God, despite what his feelings are telling him. It is noteworthy that the Sons of Korah place this same vocabulary in the mouth of the depressed person in this psalm. I think they intend to picture him as laying hold of these promises of God and preaching them to his own soul. And, even though he does not sense God's presence at the present time – indeed he feels far from God – he nevertheless places his hope in the fact that God will again “lift up His countenance” upon him. He thus places his trust in God and His Word rather than in his own circumstances or feelings, doesn't he? And here we find a key weapon in battling depression -- the Word of God! Indeed, this is the very reason why we are spending so much time searching the Word of God in this series of posts! This verse appears to place this struggling saint in the far northern reaches of Israel, north of the Sea of Galilee, where Mount Hermon and the headwaters of the Jordan are located. This may also be why he spoke in verse 4 of remembering having previously gone “to the house of God, with the voice of joy and praise, with a multitude that kept a pilgrim feast,” because now he is said to be far from there. He could still experience fellowship and corporate worship with God's people, but it just isn't the same as when he was able to go to the sanctuary of the Lord in Jerusalem. But notice also that is he talking to God again, telling Him about how his soul is “cast down” within him. No matter how far away he feels he is from God – or from feeling good – he still clings to his relationship with God. And he persists in prayer, another indispensable weapon for battling depression. The metaphor that pictures troubles as an overwhelming flood or as the sea raging around a person is common in the Bible (see, e.g., Psa. 32:6; 46:2-3; 69:1-2) and is an apt description of the way depression seems to overwhelm us. Once again the Psalmist reminds himself that, despite his feelings, God really does love him, and he determines to persist in praise and prayer, singing to God and calling on Him. And he will continue to seek an answer from God. Following the mention of the oppression from his enemies in verse 9, this poor saint speaks of the effect of their insults as being so painful they are like someone breaking his bones. He especially doesn't like it when they mockingly ask him, “Where is your God?” In fact, this is the second time he has brought it up, having already said in verse 3, “My tears have been my food day and night, while they continually say to me, 'Where is your God? '” So we get the impression that, on top of everything else, this person apparently feels as though he is being a very bad witness for the Lord. Many a modern believer who struggles with depression may feel the same way, as though he is being a bad witness for Christ because he struggles to hang on to the joy Christ has promised for His followers. It is understandable that a believer would feel this way, but it isn't necessarily true that he is being a bad witness at such times, at least not if he continues to trust in the Lord even through such a terrible trial. Indeed, isn't the believer pictured in this very psalm an example of how one may be a good witness for God even in the midst of depression? Because he knows God will again lift up His countenance upon him, the Psalmist also knows that his own countenance will be better as well. When God's face again shines upon him, his own face will again shine toward others. Notice that the Psalmist also ends by referring to the Lord as “my God.” He will not turn away from God in his difficulties; he will continue to turn toward Him. In seeking to further apply this psalm, it is worth observing that the Sons of Korah ask the all important “why” question about depression, and that this question leads them back to God. In fact, they have the main character of the psalm asking “why” at least six times (vs. 5 [2x], 9 [2x], 11 [2x]). And they have him asking himself the crucial question “Why are you cast down, O my soul?” at least twice ( vs. 5 and 11, if you don't take Psalm 43 as belonging with this one and add 43:5). As you think about the meaning of your feelings, you will notice that, rather than leading you to more and more despair, the path leads you to the triune God. More specifically, it will lead you to the question, Will you live for God or will you live for yourself and the things you worship? Sometimes it takes awhile to get to this most critical of questions, but it is always there. Usually, all you have to do is ask yourself the “why” questions of a three-year-old. Trust, confession of sin, and following Christ in obedience — sound familiar? These are the staples of the spiritual life. When you get under the surface, these are the things that are important for everyone. You will find that they work. Yes, the ultimate answer for dealing with depression is to trust the Lord. It really is that simple … and that hard! That is why we cannot do it without the empowering presence of the Holy Spirit. Thank God, then, that His Spirit really is present in each and every believer to give us the faith we need to face any and every trial, even the terrible trial of depression. A creed or a confession of faith is the church’s doctrinal standard in written form, identifying and expounding those doctrines of Scripture that are essential for salvation, as well as those doctrines of Scripture that are necessary for the spiritual well-being of the Christian and of the church. How does this square with the claim that faith and religion are personal and private matters? Many people today, especially politicians, claim to have faith and religion; yet they studiously avoid any public affirmation of what that means. Contrary to this practice, the Bible calls God’s people to confess their faith unashamedly and publicly. This is precisely what we do by publishing and affirming a written confession of faith. We are proclaiming to the world and to one another both the reality and the substance of what we believe. To summarize, a confession of faith is valid because (1) the Bible commands the public affirmation of our faith, (2) the Bible commends the interpretation and application of Scripture, and (3) the Bible contains seminal creeds and confessions of faith. Far from discouraging creeds, the Bible validates their composition and use. These points are based firmly upon a Scriptural foundation and are clearly and succinctly argued. In this post Bob responds to three common objections to the use of creeds or confessions: 1. "Confessions undermine the authority of Scripture." 2. 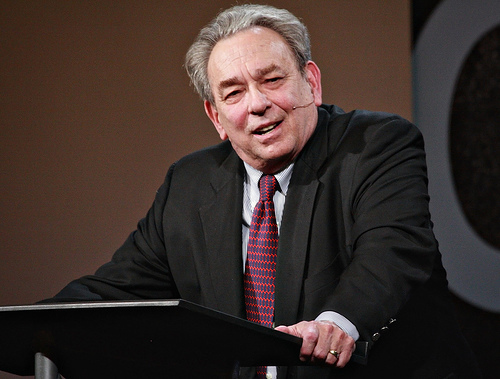 "Confessions contradict the sufficiency of Scripture." 3. "Confessions intrude upon liberty of conscience." 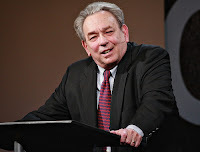 After responding to each objection, Bob rightly concludes that "a public confession of biblical truth in the form of a creed need not in principle undermine the authority of God’s Word, contradict the sufficiency of Scripture, or infringe upon liberty of conscience." I highly recommend reading this brief but thorough series, and I hope I have whet your appetite to do so. Together with what Jeff has written on our blog, I think you will be well prepared to defend the necessity of the appropriate use of confessions by the churches even in – or perhaps especially in – our pluralistic and relativistic age. In this post Bob offers three primary reasons for the usefulness of confessions: 1. "A Confession Provides a Standard for Intra- and Inter-Church Fellowship." 2. "A Confession Provides a Standard for Church Discipline and for Defending the Faith." 3. "A Confession Provides a Summary of Biblical Doctrine for Evangelism and Education." Part 1, which dealt with the nature of mysticism and its introduction into Christianity, was posted last week here. This post concludes the two part series. Friedrich Schleiermacher (1768–1834), the Father of Modern Liberal Theology, sought to reconcile postmodernism (the ineffable nature of ultimate reality) with Christianity. Schleiermacher reasoned that if knowledge of ultimate reality (God) is locked behind a transcendental wall, then the Bible could not have had a divine or supernatural origin. Consequently, Schleiermacher denied the supernatural elements of the Scriptures. Once he removed the inspiration of Scripture, Schleiermacher did away with the miracles as well. According to Schleiermacher, because the Bible is uninspired, it is fallible. In the process, Schleiermacher became one of the major contributors of Higher Criticism, which flowed out of Germany in his day. The Higher Criticism of Schleiermacher greatly influenced the Lutheran Church throughout Europe to such a degree that Soren Kierkegaard (1813-1855) was outraged at the spiritual lifelessness of the Danish National Church. Danish citizens were Lutherans by birth, and thus they saw no need for a personal and subjective knowledge of the Lord Jesus Christ. But Kierkegaard knew that Christianity was to be more than just a name; it was to be a relationship. It was not the objective facts that were important, but the subjective reality. Objectively it may be impossible to prove Christianity, but, even if it could be proven, this would not establish a subjective relationship with the Lord. According to Kierkegaard, what was important was the new birth. People needed to experience Jesus Christ experientially. How would this existential experience come? By faith, he determined. According to Kierkegaard, faith transcends reason and sense perception and provides an existential experience for the believer. Kierkegaard adopted the confession of Tertullian, “credo quia absurdum” (I believe because it is absurd). In this creed, Kierkegaard meant that the gospel message is neither rational nor supported by empiricism, yet faith does not need a reason or proof to believe. Faith is its own proof. In fact, according to Kierkegaard, this is the very nature of faith – a leap into the darkness. Faith leaps the believer over the transcendental wall, which separates finite man from the true knowledge of God. Karl Barth (1886-1968) also reacted against the liberal theology of Schleiermacher, but sadly accepted the claims of Higher Criticism in his Neo-Orthodoxy. Barth, along with Brunner, Bultmann and Tillich, sought to save Christianity from the theology of liberalism while accepting the foundation of liberalism – Higher Criticism. The solution, according to these German theologians, was found in the philosophical writings of Kierkegaard – existentialism. Existentialism allows spiritual truth to be ascertained independently of an infallible book. According to Barth, God's revelation is His Word and His Word is not the Bible, but the person of Jesus Christ. To understand God's revelation is to understand the Lord Jesus. Without an experiential knowledge of Jesus, there is no real apprehension of the revelation of God. What about the Bible? Emil Brunner (1889-1966) claimed that just as a record has all kinds of noises and static along with the sound of a voice, the Bible has all kinds of sounds (errors) along with the voice of God. That is, the Bible contains God's Word, but is not God's Word. The key is to listen to the voice of the Lord and not to the static. Rudolf Bultmann (1884-1976) was even more consistent with his postmodern form of Christianity. He agreed with Barth and Brunner that the main concern in Christianity is faith in Christ, yet belief in the historical Jesus was optional. In his demythology Bultmann sought to remove the apparent myths from within pages of Scriptures. It is the spiritual truth behind the story that matters, not the historicity of the story. The story of the resurrection, for instance, is not a historical fact as much as it is a symbolic story capturing the new life and hope believers have in Christ. If the Bible is a fallible book that contains the voice of the Lord, how is the reader able to discern the voice of the Lord from all the errors and myths? According to Paul Tillich (1886–1965), truth is ascertained through a dialectic hermeneutic (a three tier method of interpretation). Like Hegel’s dialectics of thesis, antithesis and then synthesis, Tillich claimed that spiritual truth is discovered through the Bible, culture and church history. Throughout church history, doctrine has been formed, shaped and reshaped by various cultural concerns and controversies, and as new cultural concerns and controversies arise, new conclusions will be drawn. And since history is not fixed, doctrine will always be fluid and changing. Brian McLaren (1956-current), one of the more prominent leaders in the Emergent Church, has adopted this postmodern view of Biblical interpretation and has consequently brought postmodernism, existentialism and neo-orthodoxy to their natural conclusion – a Christianity with no absolutes that embraces all religious faiths, a type of pluralism. McLaren argues in his book, A New Kind of Christian, that the problem with traditional Christianity is its antithetical view of truth – where truth is viewed as existing as a point on a horizontal line. This method of interpretation, McLaren claims, divides Christians (Catholics and Protestants, Calvinists and Arminians, etc…). For instance, Catholics argue that their interpretation is right on justification, while Protestants claim the same. According to McLaren, the problem with one side being right and the other side being wrong is that it is impossible for either side to have an infallible interpretation of Scripture. The reason both interpretations are fallible is that every interpretation is bound to the limitations of culture, history and language. Man can never rise above his own finiteness and limitations. According to McLaren, since no single interpretation (Catholic, Protestant, Calvinist, Arminian, etc…) is infallible, none can be authoritative. The only authoritative position is God’s position. But, does not the Bible reveal God’s position? According to McLaren, not necessarily; but even if it did, finite man would still be unable to discern it. Absolute truth is stuck behind a transcendental wall that even those who read the Bible are unable to scale. If authority always remains behind an impregnable wall, what use is the Bible? According to McLaren, the Bible was never meant to communicate absolute truth, but it does provide a reference point to help steer believers in the right direction. Rather than faith being like a building – having a single reference point or a single foundation, faith has multiple anchor points like a spider-web. The Bible (at least an interpretation of the Bible), church history, culture and spiritual experience all influence a person’s faith. Since there are multiple and even conflicting anchor points, truth will always remain relative. I don’t believe making disciples must equal making adherents to the Christian religion. It may be advisable in many (not all!) circumstances to help people become followers of Jesus and remain within their Buddhist, Hindu or Jewish contexts … rather than resolving the paradox via pronouncements on the eternal destiny of people more convinced by or loyal to other religions than ours, we simply move on … To help Buddhists, Muslims, Christians, and everyone else experience life to the full in the way of Jesus (while learning it better myself), I would gladly become one of them (whoever they are), to whatever degree I can, to embrace them, to join them, to enter into their world without judgment but with saving love as mine has been entered by the Lord. The Emergent Church is nothing more than a form of mysticism and existentialism – an attempt to find meaning without absolutes. To think that the rest of Christianity has remained uninfluenced by postmodernism and existentialism is naïve. Churches across the globe have turned away from experience rooted in doctrine to experience rooted in mysticism. Sermons have shifted away from theology (how to know and love God) to motivational speeches (how to have your best life now). When theological terms are used, they remain vague and subject to diverse interpretations. Music has taken priority over preaching. The rich and doctrinal lyrics of the old hymns, which focused upon the work of Christ, have been replaced with a few superficial and repetitious words that focus upon the emotions of the worshiper. Contemporary worship has turned into individuals marinating in their own affections and love towards a vague God, rather than the church corporately praising the God of the Bible for His love as manifested in the life, death and resurrection of Jesus Christ. The reason mysticism is so popular in churches is not necessarily because it offers meaning and hope in a postmodern climate of meaninglessness and despair, but because it is able to make unspiritual people feel spiritual. These mystical experiences are real for the worshiper and are easily created by the worship team. Dim the lights, get people excited by the beat and rhythm of the music, throw in a few religious terms, turn the focus to the emotions of the worshiper, and then presto – people feel spiritual. Another reason mysticism is effective is because man is religious by nature and has an innate desire to worship. Create the right atmosphere and then give Pagans an idol or give Americans a cool Jesus, and they will worship. To see this superficial worship, all you have to do is follow your unconverted friends to church and watch them raise their hands as they lose themselves in the “act of worship.” This is not to say that the true Christian in the same aisle is not worshiping the real Lord Jesus. But his neighbor’s false worship can be created simply by manipulating the atmosphere. Hold back theology and give people emotionalism, and people will enjoy a mystical experience that feels spiritual. Of course, there are some parallels between mystical theology and biblical Christianity. A saving knowledge of the Lord Jesus Christ includes more than a cognitive understanding of the biblical truth declarations (James 2:19). By faith, people experience a personal knowledge of the Lord Jesus (Eph 3:14-19). This saving knowledge brings about inexpressible love, joy and peace. In addition, this experiential knowledge of Christ Jesus comes only by spiritual illumination. Thus, a personal knowledge of the Lord is incommunicable – for it impossible to share our experiential knowledge of Christ Jesus with others. With this said, biblical Christianity is not mysticism or even a form of mysticism. The fundamental difference is that saving faith and an experiential knowledge of Christ Jesus do not come from an existential experience that transcends cognitive and rational thought. There is no leap of faith into the darkness, but rather a leap of faith into the light of God’s Word. Saving faith comes only by hearing and hearing comes only by the articulated Word of God being clearly proclaimed (Rom 10:17). To know Christ initially, and to grow in the knowledge of the Lord, requires knowledge of the Scriptures (John 17:17). Doctrine, even deep doctrine, is vital to the Christian life (2 Th 2:13). Therefore, if the church really wants to help aid people in worship and spiritual growth, then they will place the focus upon God’s written Word. The error of mysticism and existentialism is that they are founded upon the false presupposition that God is ineffable (unknowable). Yes, we are bound to our own finiteness, but this does not rule out the possibility of divine communication between God and man. First, man has been created in the image of God, which provides common ground between an infinite God and finite man. Because of this common ground, not only is man able to communicate with God, God is able to communicate with man. Second, God has communicated to man in natural and special revelation (Ps 19:1-6). Therefore, God is not unknowable. Furthermore, divine revelation is universally understandable, leaving all without excuse (Rom 1:20). What about the noetic effects of the fall (the results of depravity upon the mind)? Does not Scripture say that the natural man is unable to discern spiritual truth (1 Cor 2:14)? Yes, fallen man has been alienated from the life of God and has no personal knowledge of Him. Consequently, due to the depravity of his heart, man will remain incapable and unwilling to place his faith and confidence in God. But this does not mean that fallen man cannot rationally understand the truth-claims of Scriptures. The Bible is neither irrational nor contrary to sense perception. In fact, the biblical worldview is the only worldview that makes sense of reality as perceived by the empirical senses. Further, it is the only worldview that is rationally consistent with itself. The problem with fallen man is not a lack of evidence or a lack of understanding of the truth, but a lack of appreciation and love for the truth. The light has come into the world, and the Bible says that man loved darkness rather than the light (John 3:19). The problem with man’s thinking lies in his lack of submission, not in a lack of proof. Man loves himself. Man loves his perceived notion of autonomy. Man loves his sin. Therefore, man would rather believe a lie or accept an inconsistent worldview, than to submit to a holy God (2 Th 2:10-11). Man is bound to his depraved heart. This unsubmissiveness is the problem, which is why the Lord said that even if a person were raised from the dead it would not convince a sinner to repent (Luke 16:31). The point is that divine revelation is effective in communicating truth to fallen man even if he does not accept it. Man’s knowledge of and rejection of the truth will be the very thing that condemns him in the Day of Judgment. The remedy for mysticism is not to eliminate emotions and experiences from the Christian faith. This would lead to dead orthodoxy indeed. Emotions are vital to the Christian faith, and there is no salvation without an experiential knowledge of Christ. The answer is to make sure that our experiences and emotions are rooted in biblical truth. This is because God has chosen to change the heart by the truth. Perhaps if there were ever a time when the church needed to stand strong upon the truth, especially the gospel, it is now. The church needs to know what she believes and be ready to confess and defend her faith before the world. In conclusion, even though everything in the universe is in flux, God is constant, for the great I AM never changes. God is the ultimate reference point, and the absolute and unchanging God has broken through the transcendental wall that separates the infinite from the finite and has clearly spoken to us in His Word. Being made in the likeness of God, we are proper recipients of this communication. Yet because of the fall, we are also capable of misreading it as well. Because the Bible can be both understood and misunderstood, truth is not relative as McLaren supposes. Rather, truth and error are antithetical, and an interpretation of Scripture is either right or wrong. Either people understand the intended meaning of Scripture correctly or they don't. Because truth is knowable and absolute, confessions of faith are all the more important. If it was impossible to understand the Bible, or if it was impossible to misunderstand, then no confession of faith would be needed. But, seeing that there are both correct and incorrect interpretations, it is essential to know what a church believes in order to compare their confession with the Word of God. Every church member or potential church member has the right to know how the church interprets the Scriptures. It is not sufficient, with all the false teaching floating around, for churches just to say they believe the “Bible” or simply “love Jesus.” That kind of generic confession says little. It is the truth which saves, and it is the truth which sanctifies. It is time for the local church to stop hiding behind vague generalities and undefined religious terms for the sake of unfounded mystical experiences, and it is time to start clearly stating what they believe. A Generous Orthodoxy (Grand Rapids, MI: Zondervan, 2004), 260, 262, 264. Taylor, Barry, “Converting Christianity” in An Emergent Manifesto of Hope, edited by Doug Pagitt& Tony Jones (Grand Rapids, MI: Baker Books, 2007), 165.